This is dedicated to the Canadian actor, best known for playing lovable "Gilbert Blythe" in both "Anne of Green Gables" and "Anne of Avonlea." He'll be reprising his role in an upcoming third installment of the "Anne Movies." How could you NOT like this guy?! This is also dedicated to Jonathan's many fans.....you've got great taste!!!!! Click below to send me mail! I am still trying to learn all that I can about this wonderful guy. The "Anne" movies were two of my favorite films when I was a kid and I recently saw them again after my mom bought them. 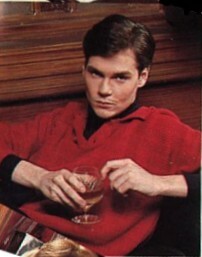 Now that I'm a lot older and I am studying acting myself, I was instantly attracted to Jonathan, mostly as an actor (although he's quite the cutie patootie as well)! So the more I learn about Jonathan, the more you'll see on my site. In the meantime, I hope you'll enjoy what I have so far! Mailing List 37 Subscribers so far! Want to join the Original PEI Webring? Want to join the Thespian Theatre Ring? 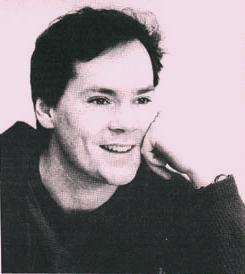 This Little Known Actors Webring site is owned by Jonathan Crombie's World.